Check out Tobi's Lilian Printed Wrap Dress Introducing a floral dress you can show off every season. Our Rust Lilian Printed Wrap Dress features stunning floral print and a front wrap and waist tie. Take this cami dress with you to your next soiree. Introducing a floral dress you can show off every season. 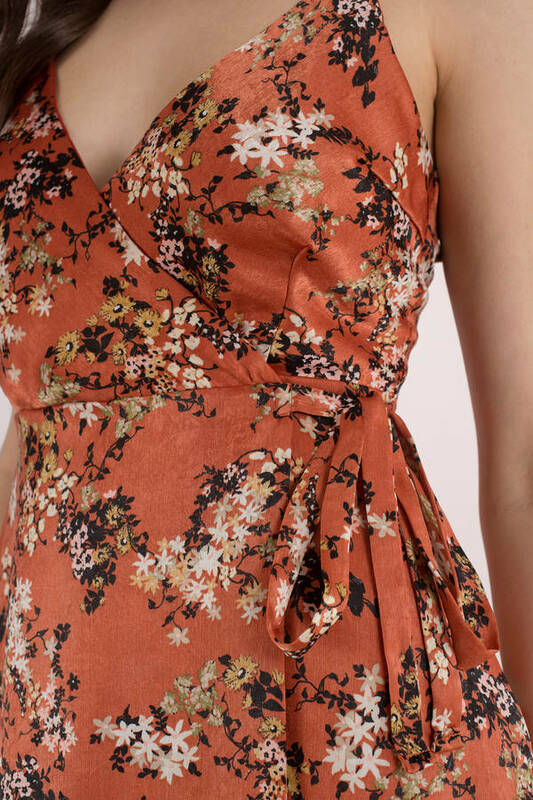 Our Rust Lilian Printed Wrap Dress features stunning floral print and a front wrap and waist tie. Take this cami dress with you to your next soiree.